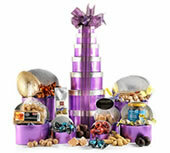 Of course it all depends on how you define ‘best’, but with Thorntons and Hampergifts.co.uk discount codes available. As well as a wide range of other chocolatety offers, it’s fair to argue that we have all confectionary bases covered. If you don’t have access to a car, Easter eggs are quite awkward items to carry home from the shop. So it makes sense to order them online using one of our many Easter egg voucher codes. Here’s a round-up of the best offers right now, including, amongst others Melt voucher codes. Thorntons are often the go-to guys when it comes to Easter eggs and you’ve lucked out when it comes to Thorntons voucher codes this year. Not only can you get 15% off everything until 28th March 2014, but there’s always a great selection of Easter-themed offers. Claim a free milk chocolate chunky egg when you spend £25 or more or enjoy this Easter Extravaganza Gift Collection for only £20 (was £40). Other family favourites, like the classic Crème Egg Mug Set, can be acquired using one of our Cadbury Gifts Direct voucher codes. The perfect for the ultimate chocoholic, Hampergifts.co.uk voucher codes can help you go all out on Easter gifts this year with 5% off your order. With Hampergifts.co.uk promocodes, choose from a wide selection of Easter hampers, including the Easter Goody Box (£27.99 before discount) and the rather impressive Deluxe Easter Tower (£39.99 before discount). Perhaps you know a particularly pernickety chocolate lover or just fancy a bit of luxury confectionary over-indulgence this year. We have Amelie Chocolat voucher codes that will get you free delivery on your luxury order, which may or may not include The Chocolate Connoisseur’s Egg (£24.95) or The Laughing Bunny Easter Egg (£23.95). Another chocolate enthusiast’s habit could be satisfied with Melt voucher codes. With Melt promo codes, you can get access to all the latest offers from this artisan chocolate specialist, made from some of the world’s finest chocolately ingredients.